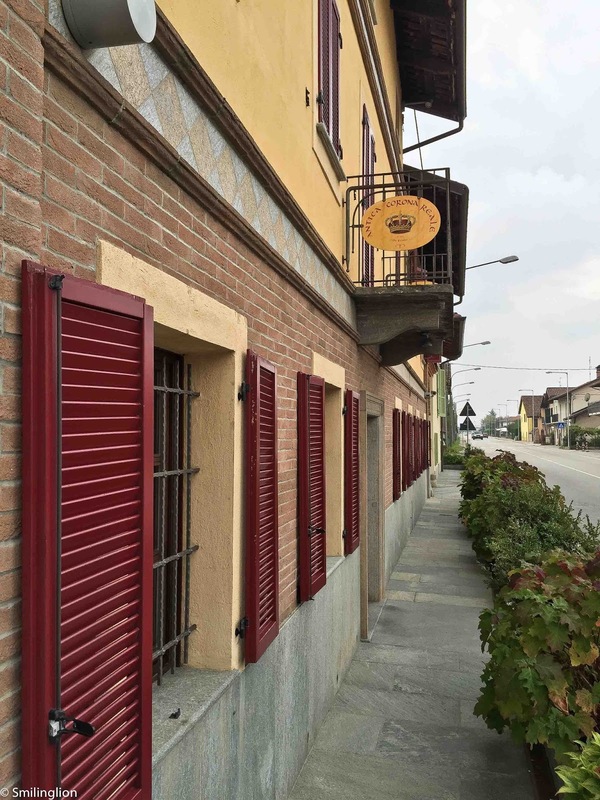 Antico Corona Reale is a two Michelin star restaurant in Piedmont which we had always wanted to visit, however, it was situated quite a distance from Alba and hence it never formed part of our itinerary during our previous Piedmont trips. This time, we made sure we planned a lunch there so that we had time to take the almost 2 hour drive there and back (we don't like driving far in Piedmont at night, due to the small roads and poor visibility, hence we usually like to dine near to where we are staying for the night). This is literally the dining institution of the region. 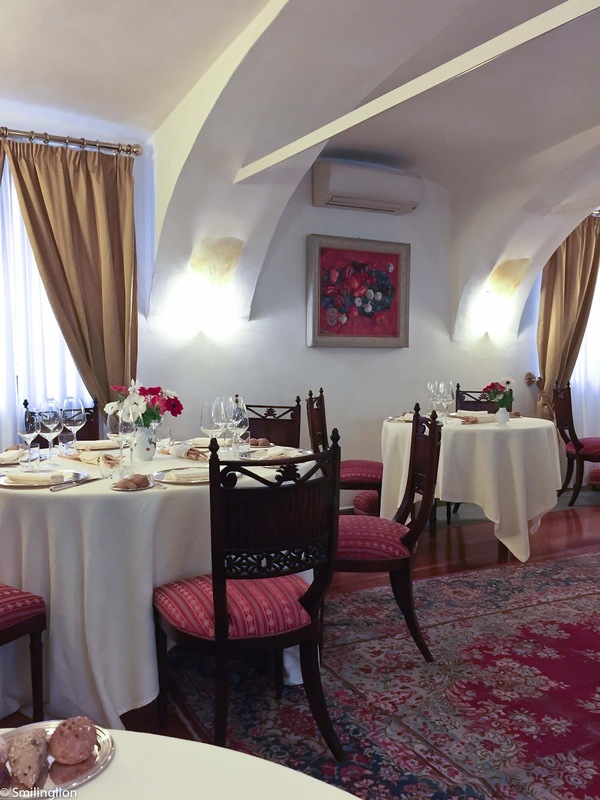 This year it celebrates its 200th anniversary, and it has been a restaurant owned by the same family since the 19th century. 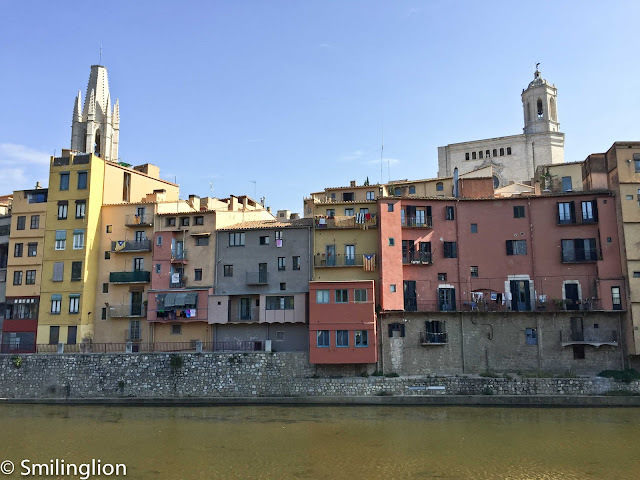 It is now helmed by Chef Gianpiero Vivalda, having taken over from his father Lorenzo, of whose name the restaurant still carries (Da Renzo). It also carries the name "Royal Crown" because at various points of its history, it served kings and princes, and hence has received royal commission. Not that anyone can tell just by looking at it. It is in a non-descript building along a long straight main road through a small town called Cervere, and if we didn't have our GPS on, we would have driven past it without a clue of its location. It was a Sunday lunchtime when we visited and the entire street was quiet with no one to be seen anywhere. We parked along a lane next to the restaurant and pressed the buzzer at the main door. When we stepped in, it was like we had entered a different time. The interior and decor belonged to another era, and there was even a slight musky odour common in buildings of this vintage. But when we were brought to our seats in one of the many dining rooms, we realised that the reason why it was so quiet outside was because everyone was in here. The restaurant was full, with every other table occupied by Italian families here to have their Sunday lunch. While we were looking through our menu and wine list, we were presented with a small plate of amuse bouche. These were simple but quite delicious. They had a decent list of local wines and we picked a 2005 Sandrone Cannubi Boschis which was a very ripe and fragrant Barolo in the modern style. 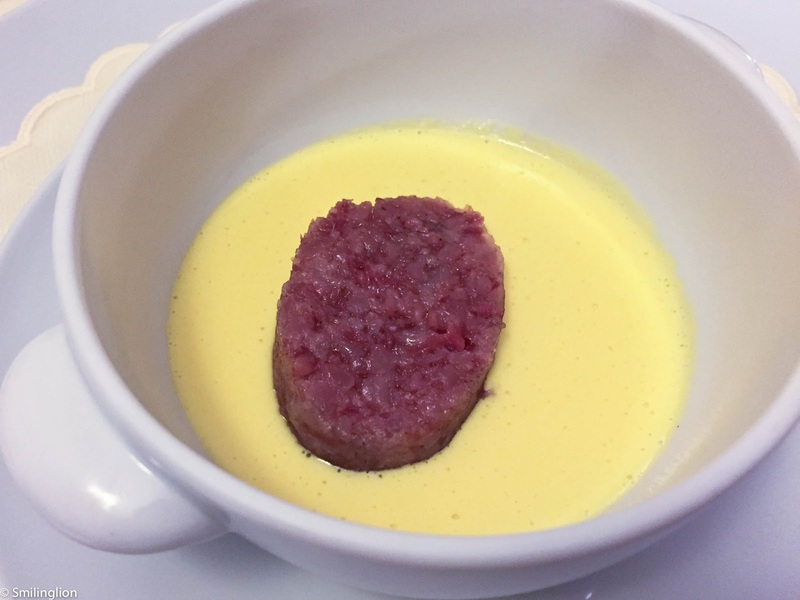 Our first sips of the wine were well complemented by another amuse bouche; the veal tartare in a creamy custardy broth. Our first entreé was the Gourmet Turnip for Les Grandes Tables du Monde 2015 which was the chef's entry into the annual gastronomic competition. 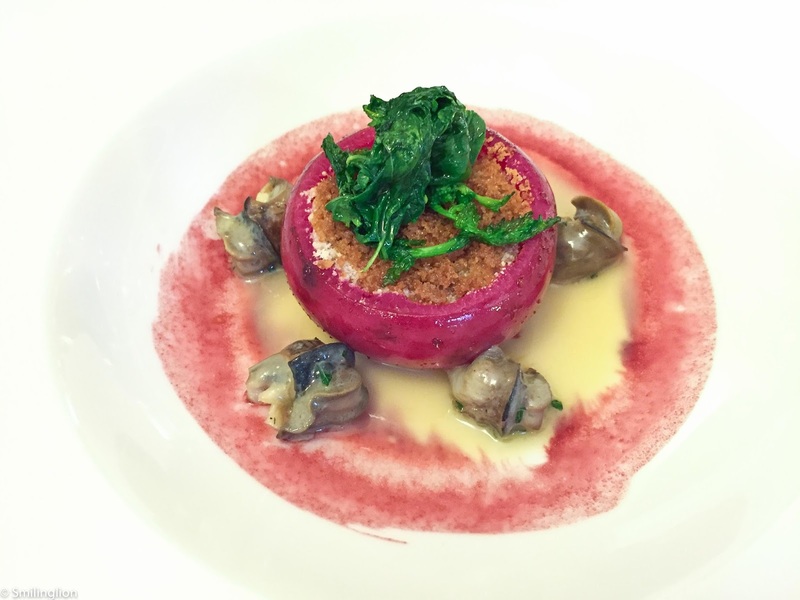 It was a sublime dish of which the main protagonist was the humble turnip. It was baked with cheese, surrounded by escargots on a bed of beetroot and butter sauce and topped with sautéed spinach. Being in Piedmont this time of year, having the white truffle tajarin was a must. 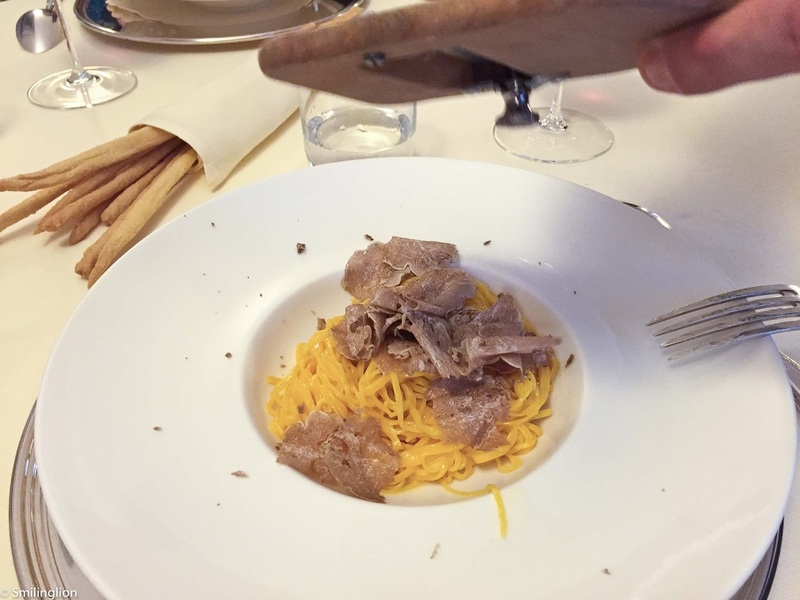 The Homemade traditional Tamarin with butter and white truffle from Alba was possibly the best tajarin we have ever eaten. It was rich with egg yolk and cooked to an al dente perfection of a level which we have never experienced. 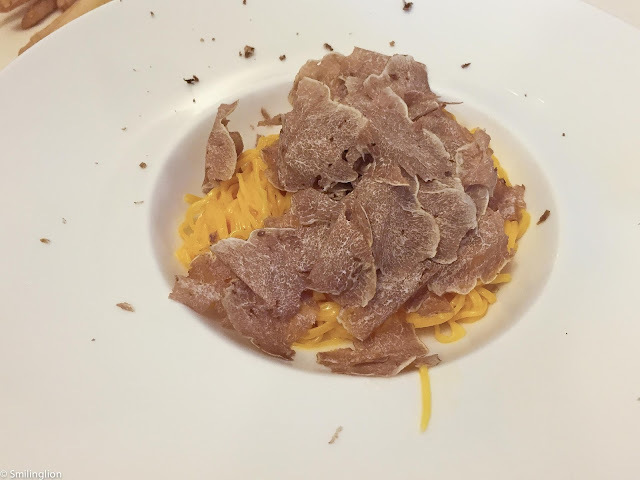 On top of it, they were very generous with the white truffle shavings. 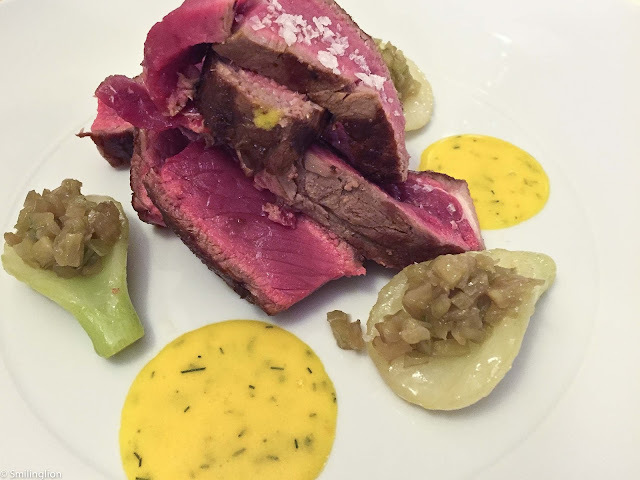 Our main course was the Grilled rib of beef and fennel salad. This was like the Tuscan Bistecca but in this case the beef used from the from the Piedmontese cow which tends to be much more tender. It was a huge portion of meat but it was so good, we were able to finish it easily. 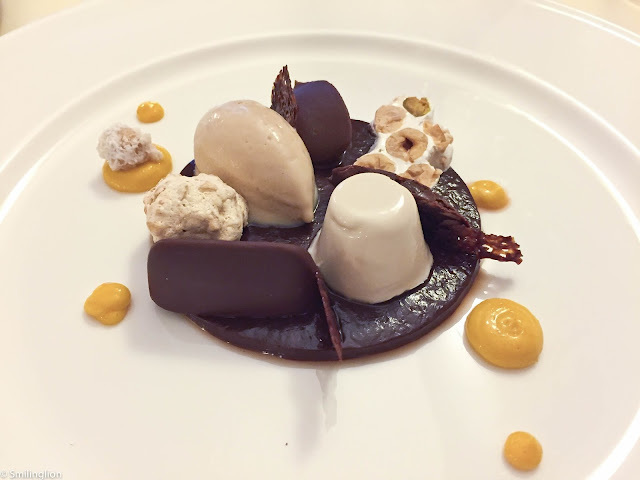 For desserts, after a simple pre-dessert of creme brûlée, we had the Rendez-vous Celestial JLC Astrale by Gianpiero Vivalda as well as the Chocolate and Hazelnuts. 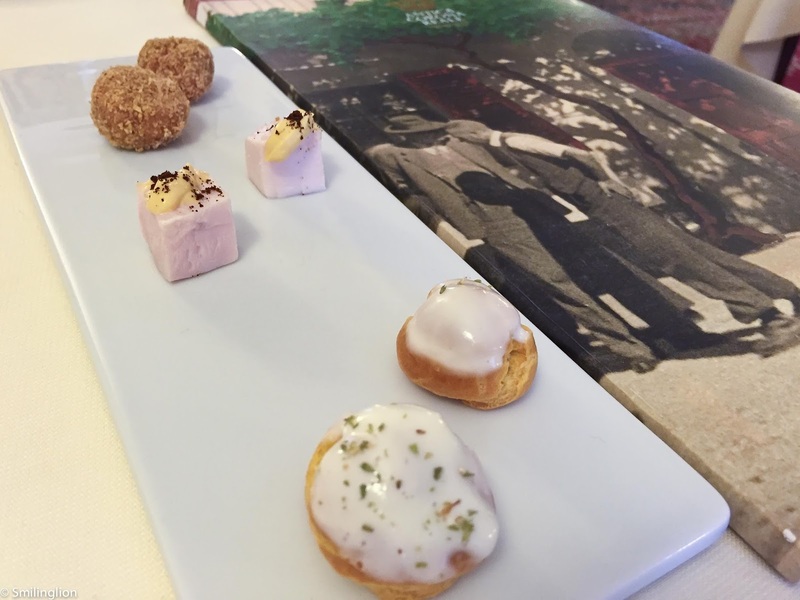 The former was dessert created by Chef Gianpiero as part of the menu for the gala dinner held by Jaeger Lecoultre to celebrate the restaurant's 200th anniversary this year. 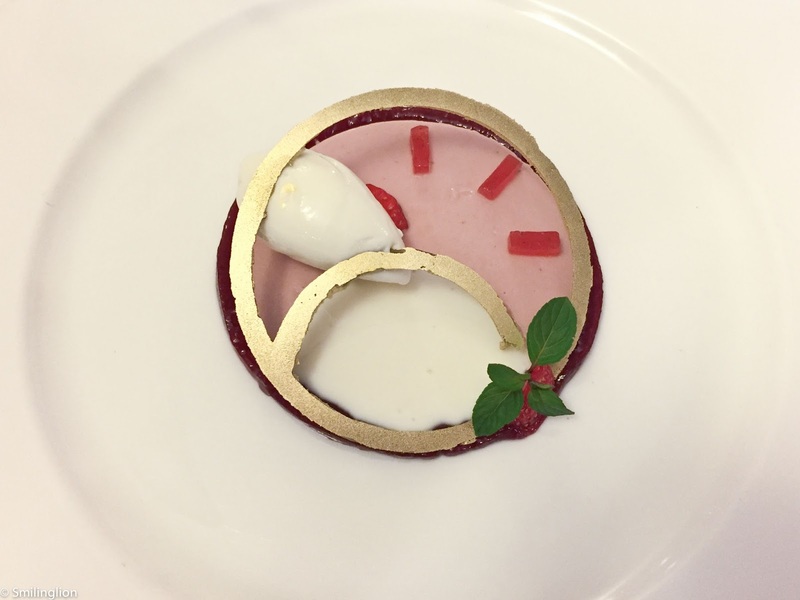 It was a very light and fruity raspberry dessert made to look like a watch face. The latter was not something on the menu. We didn't like anything else on the menu so they created a dessert with chocolate and hazelnuts at our request, and it was very good. At the end of our lunch, the patriarch of the family and the previous Grande Chef, Lorenzo Vivalda came out to greet the guests. Despite his advancing years, he was full of charm and energy, and tried to engage us in conversation despite his lack of English and our corresponding lack of Italian. We had a wonderful meal here. After 10 days of mostly modern and cutting edge cuisine, it was a nice change to have top notch traditional cuisine again. There were no unnecessary frills, and everything which was put out on our table was delicious. Add to that the homestyle hospitality of a family-owned restaurant, this was as enjoyable a Sunday lunch as we could have planned.